I’ve seen variations on this pattern for tortoise beetles throughout Central and South America. I often see the species referred to as target tortoise beetles, though a quick google search seems to confirm my suspicion that that common name applies to many different species across several genera. 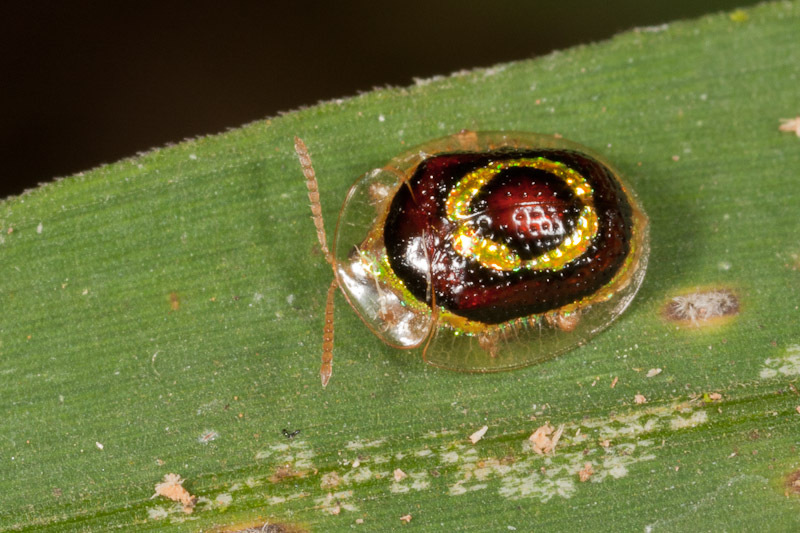 Very nice shot of this amazing tortoise beetle. Haven’t seen any tortoise beetles this exotic over here. Great to see this (relatively) new blog, Troy. Keep up the good work!